According to a French study presented at the Euroanaesthesia 2016 conference in London, patients that listen to relaxing music prior to eye surgery feel much less anxiety and require less sedation “Music listening may be considered as an inexpensive, non-invasive, non-pharmacological method to reduce anxiety for patients undergoing elective eye surgery under local anaesthesia.”said Dr Gilles Guerrier from Cochin University. The study involved 62 participants in total. Through random selection, some of them listened to music through headphones for approximately 15 minutes before cataracts surgery, while others did not. The patients that were part of the listening group were able to choose their own relaxing music from a menu of 16 recorded music styles, such as jazz, flamenco, Cuban, classical and piano. They then listened to their selected music through high quality earphones. The patients were only able to listen to the music before the surgery, and not during, due to the disinfectants and other liquids during surgery, which would have damaged the headphones. Even so, the researched have said that there is evidence that the relaxing effects of the music can last as long as 60 minutes after the patient stops listening, far longer that the time needed for the procedure in question. Cataracts surgery typically only lasts 15 minutes. Both prior to and following the surgery, surveys were given to the patients in order to record their emotional state. Sedative levels were also monitored. 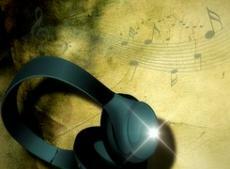 The level of anxiety experienced by those that listened to music was significantly reduced among the music group, who rated their feelings at 23 out 100, compared to 65 out of 100 for the non-listening group.